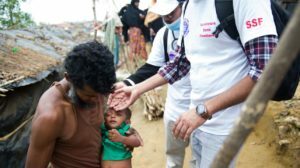 SSF – Rescuers Without Borders, sent a delegation of doctors to Bangladash on a humanitarian aid mission to help the Rohangae tribe. There, more than 500 patients and wounded were treated in refugee camps with very difficult conditions. Over 50 children suffering severe malnutrition were treated by the staff. “I’ve been a part of many delegations in the world, but the sights and conditions here are the hardest I have seen. 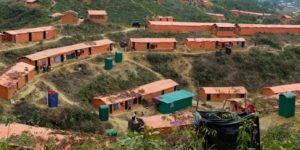 The population here, of which the majority are quite young, are suffering from severe infections and malnutrition,” said Joanna Geron, delegation leader. From the organization’s leadership: “We will continue to act and help wherever we can.